Biocide is defined as a chemical substance or composition used to kill microorganisms and/ pest organisms considered to be undesirable (Sondossi, 2010). Biocides, which are oxidizing or nonoxidizing, are used widely to control microbial induced corrosion (MIC). Chlorine, bromine, and ozone are typical oxidizing biocides, while nonoxidizing biocides include formaldehyde, glutaraldehyde, isothiazolones, and quaternary ammonia compounds (Videla and Herrera, 2005). Oxidizing biocides are effective only in freshwater because they are inactivated by organic matter. Nonoxidizing biocides are more effective as they can control bacteria, fungi and algae and are pH independent. Combinations of oxidizing and nonoxidizing biocides are also used. Laboratory studies proved that isothiazolone mixture and quarternary ammonium compounds are more effective than gluteraldehyde and formaldehyde releasing agents (Allsopp et al., 2004). But toxicity of biocides leads to environmental concerns. Biocides act by interacting with external cellular structures (e.g. Ethylenediaminetetraacetic acid, gluteraldehyde, phenols etc. ), cell membranes (etanol, surfactants, i-propanol, etc. ), and cytoplasm (alkylating agents, prophlavine, aldehydes, arylmethan, and acridine dyes). Requirements of good biocides include high biocidal activity and wide spectrum of action; long-term action; good solubility in water and hydrocarbons; effective activity at low concentration without fuel deterioration; chemical and thermal stability; corrosion-inertness with regard to the equipment used; ecological safety; compatibility with components of borehole solutions without changing their physical and chemical properties; not causing damage of catalysts at oil refining factories; made from cheap and accessible raw materials; and cost effectiveness (Yemashova et al., 2007; Rossmoore et al. 1988; Gaylarde et al. 1999; Neale, 2003). 4-(2-nitrobutyl) morpholine and 4, 4’-(2-ethyl-2-nitrotrimethylene)-dimorpholine Blend: These morpholine derivatives come under C- hydroxymethyl compounds (Fig. 1). Monomethylol nitropropane and dimethylol intermediates react with morpholine to form the end products (Paulus, 2005). This mixture is highly soluble in nonpolar solvents. A concentration between 500 and 1000 ppm is active against microbial deterioration. The blend is active against bacteria and fungus. Even though they are produced from formaldehyde, morpholine, and nitropropane, they do not exert their antimicrobial effect through the release of formaldehyde (Zielinski and Chilson, 2009). The present study is aimed at monitoring and controlling bacterial growth and activity in the fuel storage tanks in Kuwait. The biocide, Predator 6000 (4-(nitrobutyl)morpholine (60-100%) and N,N’-methylenebismorpholine (4.99-9.99%)) (Innospec Limimited, UK) was imported for the evaluation of its inhibitory effect on bacteria causing corrosion in fuel storage tanks. A group of four microbial strains (Bacillus sp., Brachybacterium sp., Kocuria sp., and Staphylococccus sp. ), which are most active, the principal groups isolated from different Kuwait storage fuel tanks (Mataqi et al., 2012), and are able to cause pitting, local spotting (start of corrosion), and biofilm formation were used as the microbial source. In fuel storage tanks, all bacterial species coexist, and to reproduce this situation, a mix culture (prepared by mixing the four selected bacterial cultures) was also used. The inhibitory effects of the biocide were investigated by using the agar well-diffusion method. Nine concentrations from the biocide ranging from 100 ppm to 32,000 ppm were tested. Overnight, nutrient broth cultures of the four bacterial strains and the mix cultures were spread uniformly on to nutrient agar plates. Biocide (150 µl) was placed in wells within the nutrient agar plates. Control plates (without biocide) for each bacterial strain and mix culture were also maintained. Triplicate plates were kept for each concentration. The \inhibitory effect was measured by the size of the inhibitory zone formed around the well. Zone diameters were measured after incubating at 37°C for 24 h. Minimum inhibitory concentration was determined as the antilog of the zero intercept of a linear regression of the squared size of these inhibition zone radii (in cm) plotted against the logarithm of the biocide concentration (Bonev et al., 2008). Minimum bactericidal concentration (MBC) is the minimal amount of antibiotic that results in a ≥99.9% decrease in the initial inoculum within 24h in a standard test and MBCs were estimated according to Suarez et al. (2003) with modifications. Pure broth cultures of Bacillus sp., Brachybacterium sp., Kocuria sp., and Staphylococccus sp. were grown overnight and absorbance was measured at 600 nm and diluted to 2 x 106 cells/ ml. A mix culture with 2 x 106 cells/ml of each bacterial strain was also prepared. Stock solutions of the biocide were prepared and different dilutions were constituted. A volume of 500 µl culture was dispensed into each micro centrifuge tube, and biocide dilutions were added to get a final concentration of 500 to 8000 ppm. Duplicates were maintained. Positive controls of all cultures without biocides and negative controls (nutrient broth alone) were also maintained. All of the tubes were maintained at 37 °C for 24 h. From each tube, an aliquot of 200 µl was cultured on nutrient agar plates and incubated at 37 °C. Bacterial colonies were counted. The biocide (Predator 6000) was further evaluated by coupon weight loss method in five fuels (ATK, Diesel, Kerosene, Mo-Gas, and Ultra) to determine the effect of the biocide on bacteria and mild steel coupons. Custom made mild steel circular coupons of an average 2.45 cm diameter and 0.35 cm thickness and 13 g weight were grinded, smoothed and polished prior to use. Coupons were cleaned with distilled water, and then with acetone. These coupons were then ground with silicon carbide papers (SiC) (Struers, Denmark) with a series of grit sizes; 220, 320, 500, 1000, 1200, 2500, and 4000. Distilled water was used in between and the coupons were grinded for 60 to 180s using each SiC paper placed on the turn table. They were ground to a smooth and scratch free finish. The coupons were further polished on a polishing device (Struers, Denmark). Polycrystalline diamond suspension (30 ml) (MetaD Supreme, Buehler, USA) ranging in sizes 15, 9, 6, 3, and 1μm was applied on a disc with nap surface (MD-NAP-T, Struers, Denmark) and each coupon was polished for 60 to 180 s. After polishing the coupons were wrapped in tissue paper and stored in a desiccator until use. These coupons were further analyzed for corrosion by electron microscopy (Analytical Scanning Electron Microscope; JSM-6010LA; Jeol). A site was prepared at the Kuwait Institute for Scientific Research campus and small model tanks (5 l) were installed in the field (Fig. 2) for the storage of fuel samples (ATK, Diesel, Kerosene, Mo-Gas, and Ultra) received from the oil sectors in Kuwait. These are small-scale tanks made from the same material (mild steel) used in Kuwait oil storage tanks, and these tanks are with outlets for easy sampling. Product quality analysis of ATK, Diesel, Kerosene, Mo-Gas, and Ultra after the addition of biocide was conducted at the Petroleum Research Center (PRC), Ahmadi. The facility is equipped to conduct all of the required analyses according to ASTM and IP standard testing procedures. The Predator 6000, at its bactericidal concentration (2000 ppm) was added to 500 ml fuel and was incubated at room temperature for 15 d with occasional mixing. Controls (without the addition of the biocide) were also maintained. Density, American Petroleum Institute (API) gravity, color, water content, atmospheric distillation, and smoke point of fuels were analyzed and compared with the controls. Bacterial presence in fuels after treatment with the biocide was tested by culturing 200 µl in nutrient agar plates. Reference methods and equipment details are given in Table 1. Inhibitory zone data was analyzed by linear regression. Data of the coupon weight loss experiment was analyzed by one-way Analysis of Variance (ANOVA) and data of the product quality experiments were analyzed by Anova: 2 factor. p<0.05 was considered significant and the post hoc analysis was performed by Tukey HSD test. The biocide was screened for its inhibitory effect by agar well diffusion technique and was further studied to find MBC to weight loss experiment. The effect of biocide on mild steel coupons and different fuels were studied. Results of initial screening, MBC, effects of biocide on mild steel coupons, and product quality analysis are presented in the following sections. 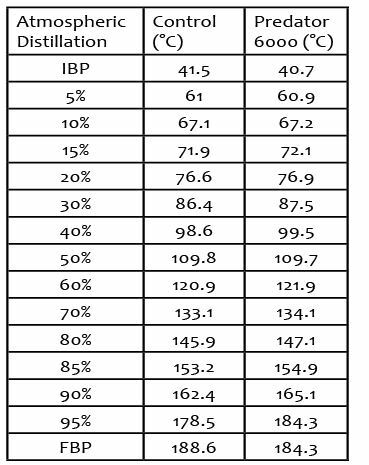 Minimum Inhibitory Concentrations of the Biocide. The biocide (Predator 6000) was evaluated for the inhibitory effect on four bacterial strains and the mix culture. In control plates without biocide, complete bacterial growth was observed. Inhibition zones were absent in lower concentrations, and diameter of the zones increased with increasing concentrations. Fig. 3 shows linear regression of the squared inhibition zone radii (x2) against the logarithm of the concentration of the predator 6000. MIC of the biocide for each bacterial culture and mix culture, which are the antilogs of the zero intercepts of the regression lines, is presented in Fig. 3. Predator 6000 was most effective against Brachybacterium sp. than the other bacterial strains (Table 2). In Diesel, Kerosene, and Mo-Gas, the biocide did not differ significantly (P>0.05) with regard to coupon weight loss (Table 3). Coupons treated with the biocide (w/o mix culture) did not differ significantly when compared to coupons in fuel controls (w/o biocide, w/o mix culture). No bacterial growth was detected in the biocide-treated fuels. Predator 6000 was completely soluble in all the fuels. * Mix culture: Equal proportions of the four bacterial strains Brachybacterium sp., Bacillus sp., Staphylococcus sp., and Kocuria sp. 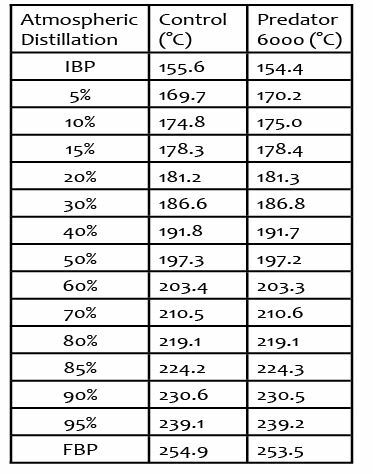 Table 3:Percent Weight Loss of Mild Steel Coupons Treated with Mix Culture and the Biocide in Different Fuels Values are means ± standard deviation, n = 2 per treatment group. Means in a row without acommon superscript letter differ (P<0.05) as analyzed by one-way ANOVA and the TUKEY test. ATK, Diesel, Kerosene, Mo-Gas, and Ultra were treated with the biocide Predator 6000 for 15 d and the details of fuel quality are given subsequently. Densities of the fuels treated with Predator 6000 (2000 ppm) did not show any significant difference (P > 0.05) from the respective controls (Fig. 5). API gravities (Fig. 6) and color (data not shown) and smoke points (Fig. 7) of ATK, Diesel, kerosene, Mo-Gas, and Ultra also did not change (P > 0.05) after treatment with the biocide. Water content of all the five fuels increased (P < 0.05) after the addition of the biocide (Table 4). In ATK, water content increased from 22 ppm to 43 ppm from control after treatment with the biocide. In diesel and Mo 95, the lowest increase in water content was in Predator 6000 treatment, whereas kerosene had similar increase in water content after treatment with Predator 6000 (27 ppm). 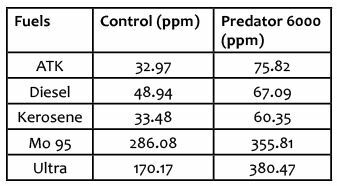 When compared to the control, water content in ultra-increased by 210 ppm, after treatment with Predator 6000 (Table 4). Atmospheric distillation results of ATK (Table 5), diesel (Table 6), kerosene (Table 7), Mo-Gas (Table 8), and Ultra (Table 9) are given in this section. Atmospheric distillation temperatures of the fuels did not change considerably from the controls. In ATK, maximum difference was in 95% distillation of Predator 6000 treatment, which showed a decrease in 4.4 °C. 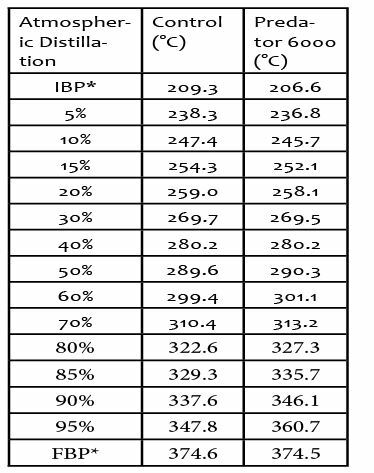 Initial boiling Point (IBP) and final boiling point (FBP) did not change considerably (Table 5). 95% distillation of diesel showed an increase of 12.9 °C in Predator 6000 treatment (Table 6). 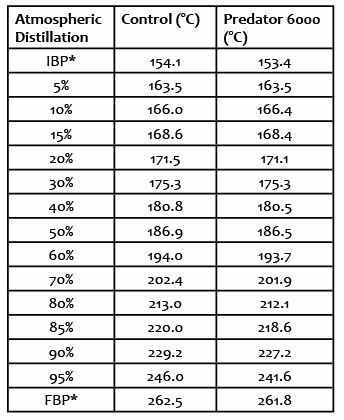 IBP decreased by 1.2 °C in kerosene after treatment with Predator 6000 (Table 7). 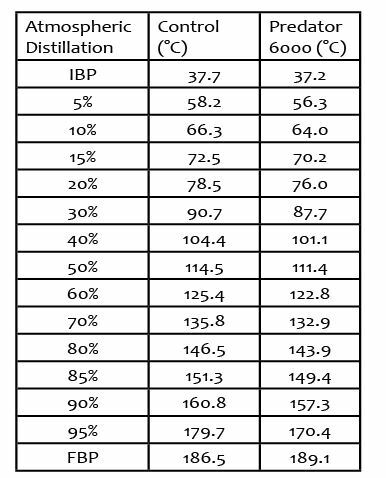 In Mo-Gas, 95% distillation temperature increased in Predator 6000 by 5.8 °C treatment (Table 8). IBP of Ultra decreased by 0.5 °C after treatment with Predator 6000 (Table 9), whereas FBP increased by 2.6 °C after treatment with Predator 6000. No microbial growth was detected in any of the fuels after treatment with biocide, and a few colonies were detected in the controls w/o the biocide. Microbiologically-induced corrosion is a major problem in the fuel storage tanks used in the oil industry. Microbiological corrosion is induced by bacteria, fungi, and algae (Lane, 2005; Little et al., 1997). For prevention and control of microbiologically-induced corrosion, the system needs to be clean (Lane, 2005; Videla and Herrera, 2005; Videla, 2002), which is not always practical (Videla and Herrera, 2005). Application of biocides can keep corrosion under control. Biocides can be either oxidizing or nonoxidizing, of which nonoxidizing are more effective. Nonoxidizing biocides are usually formaldehyde, glutaraldehyde, isothiazolones, and quaternary ammonia compounds (Videla and Herrera, 2005). The Predator 6000 is a mixture of 4-(nitrobutyl) morpholine (60-100%) and N,N’-methylenebismorpholine (4.99-9.99%). Even though it releases small amounts of formaldehyde, this will not contribute to substantial antimicrobial effect (Zielinski and Chilson, 2009). Oil-soluble corrosion inhibitors such as Predator 6000 may form a persistent monolayer film adsorbed at the metal solution interface, which prevents corrosion (Rajasekar et al., 2007). The MIC of an antibacterial agent for a given organism is the lowest concentration of the agent required to inhibit the growth of an inoculum of the bacterium in a standard test. The MBC is the minimal concentration of antibiotic that kills the inoculum and can be determined by sub-culturing to agar media without antibiotics. MBC is the minimal amount of antibiotic that results in a ≥99.9% decrease in the initial inoculum within 24 h in a standard test (French, 2006). MBC of the Predator 6000 is 2000 ppm. MIC for Predator 6000 ranged from 560 to 2971 ppm of the product for pure cultures. The coupon weight loss experiment demonstrated that corrosion in Predator 6000 coupons was very less when compared to the controls. This biocide was completely soluble in all the fuels tested. This result is in contrast to the view that isothiazolone mixture and quaternary ammonium compounds are more effective than gluteraldehyde and formaldehyde releasing agents (Yemashova et al., 2007; Allsopp et al., 2004). Quality of the all the five fuels (ATK, Diesel, Kerosene, Mo-Gas, and Ultra) did not change in terms of density, API, color (data not shown), and smoke point after treatment with the biocide (Predator 6000). But water content of all the fuels increased considerably when treated with each of the biocide. Use of biocide in powder form may solve this problem. Atmospheric distillation temperatures of the fuels increased or decreased slightly in some cases but not much as to affect the performance of the fuels. So to conclude; inhibitory effects of the biocide was screened against a mix culture of Bacillus sp., Brachybacterium sp., Kocuria sp., and Staphylococccus sp. by agar well diffusion technique, and MICs were estimated. The biocide, Predator 6000, was further studied to find its effect on the quality of fuels (ATK, Diesel, Kerosene, Mo-Gas, and Ultra) and on the mild steel coupons. Quality of the all the five fuels did not change in terms of density, API, color, smoke point, and atmospheric distillation, after treatment with Predator 6000. Water content of the fuels increased after treatment with the biocide. Coupon weight loss study proved that the biocide did not change the weight of the coupons significantly. But coupons in fuel controls (w/o biocide, w/o mix culture, with 300 µl nutrient broth) were corroded. Interestingly, Predator 6000 showed very less degree of corrosion when compared to fuel controls. So Predator 6000 can be considered as a very effective biocide against the bacteria in the fuel storage tank in Kuwait. Videla, H. A., and L. K. Herrera. 2005. Microbiologically influenced corrosion: Looking to the future. International Microbiology 8: 169-180. Allsopp, D., K.J. Seal and C.C. Gaylarde. 2004. Introduction to Biodeterioration. Cambridge: Cambridge University Press. Yemashova, N.A. ; V.P. Murygina; V.P. ; D.V. Zhukov; A.A. Zakharyantz; M.A. Gladchenko; V. Appanna; and S.V. Kalyuzhnyi. 2007. Biodeterioration of crude oil and oil derived products: A review. Reviews in Environmental Science and Bio/Technology 6(4): 315-337. Rossmoore, H.W. ; J.W. Wireman; L.A. Rossmoore; and V.F. Riha. 1988. Factors to consider in testing biocides for distillate fuels. In Distillate Fuel: Contamination, Storage, and Handling. Edited by Howard L Chesneau and Michele M. Dorris. Philadelphia: ASTM International. Gaylarde, C.C., F.M. Bento and J. Kelley. 1999. Microbial contamination of stored hydrocarbon fuels and its control. Revista de Microbiologia 30(1): 01-10. Neale, M. 2003. The Biocide products directive-industry concerns. Pesticide Outlook 14(2): 71-73. Paulus, W. 2005. Directory of Microbicides for the Protection of Materials: A Handbook. Netherland: Springer Science and Business Media. Zielinski, R.E., and M.A. Christa Chilson. 2009. Antimicrobial additives for metalworking lubricants. In Lubricant Additives: Chemistry and Applications. Edited by Rudnick, L.R. Florida: CRC press. Mataqi, K.; Q. Al-Matawah; A. Akbar; B. Akbar; K. Al-Enezi; and A. Ben Hejji. 2012. Assessment and control of biomass growth in fuel storage tanks in Kuwait- Phase I: Quantification and identification of microbial activities in the products storage tanks. Kuwait Institute for Scientific Research, Report No. 11069, Kuwait. Bonev, B., J., Hooper and J. Parisot. 2008. Principles of assessing bacterial susceptibility to antibiotics using the agar diffusion method. 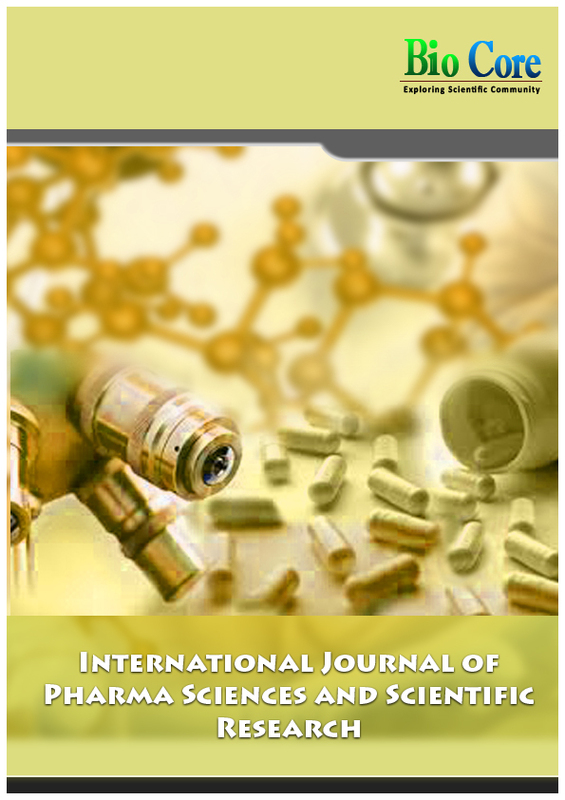 Journal of Antimicrobial Chemotherapy 61(6): 1295-1301. Suarez, M.; J. M. Entenza; C. Doerries; E. Meyer; L. Bourquin; J. Sutherland; I. Marison; P. Moreillon; and N. Mermod. 2003. Expression of a plant-derived peptide harboring water-cleaning and antimicrobial activities. Biotechnology and Bioengineering 81: 13-20. Lane, R.A. 2005. Under the microscope: Understanding, detecting, and preventing microbiologically influenced corrosion. Journal of Failure Analysis and Prevention 5: 10-12. Little, B. J., P. A. Wagner and F. Mansfield. 1997. Microbiologically Influenced Corrosion. Houston, TX: NACE International.Videla, H. A. 2002. Prevention and control of biocorrosion. International Biodeterioration & Biodegradation 49: 259-270. Rajasekar, A.; S. Maruthamuthu; N. Palaniswamy; and A. Rajendran. 2007. Biodegradation of corrosion inhibitors and their influence on petroleum product pipeline. Microbial Research 162(4): 355-368. French, G. L. 2006. Bactericidal agents in the treatment of MRSA infections—the potential role of daptomycin. Journal of Antimicrobial Chemotherapy 58: 1107-1117. Energy Institute IP189/190. 2005. Crude petroleum and liquid or solid petroleum products - Determination of density or relative density - Capillary-stoppered pyknometer and graduated bicapillary pyknometer methods. Energy Institute, London, UK. Energy Institute IP200. 2008. Guidelines for the use of the Petroleum Measurement Tables. Energy Institute, London, UK. ASTM Standard D6045. 2012. Color of petroleum products by the automatic tristimulus method. ASTM International, West Conshohocken, PA.
ASTM Standard D6304. 2016. Determination of water in petroleum products, lubricating oils, and additives by Coulometric Karl Fischer titration. ASTM International, West Conshohocken, PA.
ASTM Standard D1322. 2015. Smoke point of kerosine and aviation turbine fuel. ASTM International, West Conshohocken, PA.